Ram Bhawan is the residence/study centre of the Kautilya Society, an NGO for intercultural dialogue. It offers hospitality to travelers and scholars interested in Indian culture, art, academia and discovering Varanasi from a different prospective.The atmosphere of Ram Bhawan is conducive to reading and study and remains faithful to the simple comforts of an Indian home with a splash of color. 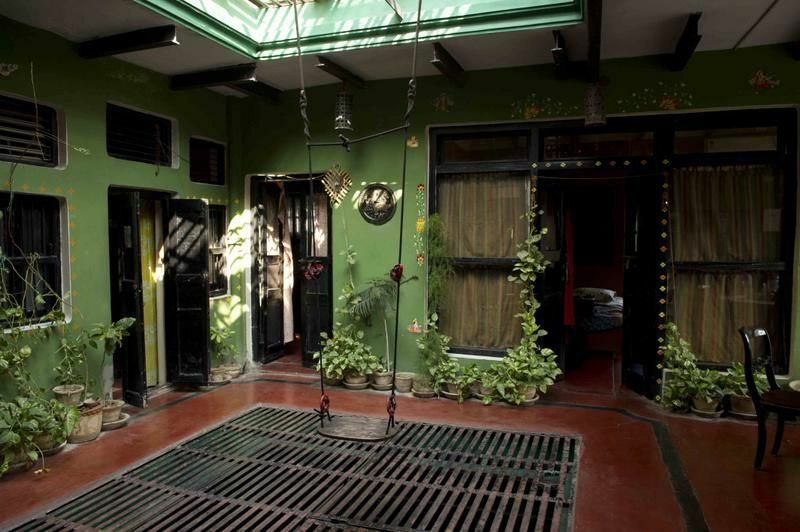 It is a is a four-storey house built in a traditional Indian, joint-family style. It enjoys a beautiful view of the river Ganges from the terrace. 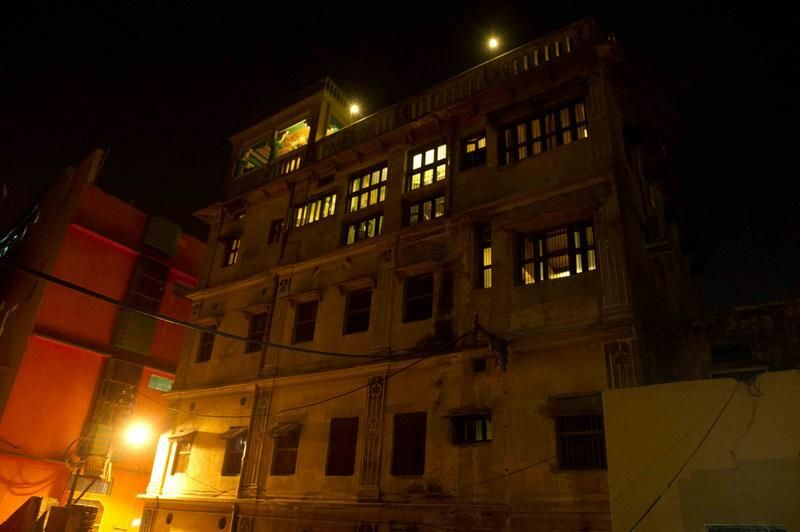 It is situated in the heart of old city of Varanasi, next to Dashashwamedh Ghat. 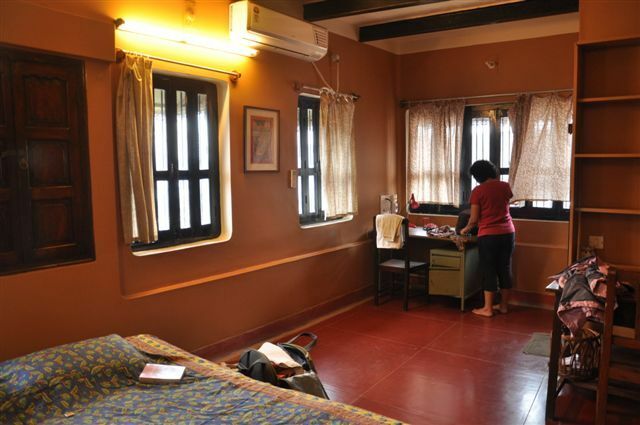 Room rates include breakfast, lunch, wi-fi and the possibility to use a common kitchen to cook you dinner.To stay at the Kautilya Society you need to be a member. The membership charges are:- 200Rs for 6 months- 300Rs for 1 year- 1000Rs for lifetimeThese charges are NOT included in the price paid onlineThe Kautilya Society does not charge children and young adults below 18 years for membership or for food. You are welcome to support our projects and leave a contribution to the Kautilya Society to cover their costs. FROM THE ROAD:As you walk along the Dashashwamedh Road, after 400m from Godowlia Crossing, the road bifurcates. Take the road going to your right.Just before that road reaches the Ghats, you will see a Bank of Baroda ATM on your right hand side. Take the lane which starts from there and go towards your left. Walk around 400m on that lane and on your left hand side you will see some steps going up next to a small temple. Kautilya Society is in that lane.FROM THE GHATS:You must reach Dharbhanga Ghat (which is two Ghats after Dashshwamedh Ghat when you have the Ganges on your left). Just climbs the stairs next to the Dharbhanga Palace, we are behind it.NOTE- From the Airport - The pre-paid taxi will take Rs 500 and will drop you at -Godowlia. From Godowlia you will have to walk, since the road is closed to cars- From the Station (Varanasi Jn): Rs 30 by Rickshaw, Rs 80 by Tuk-Tuk, Rs 200 by Taxi. There is a pre-paid Tuk-Tuk (called Auto) Stand. The tuk-tuk will drop you till Girjagarh, which is 100 m from Godowlia, the taxi will drop you at Godowlia. They cannot go till Godowlia or Dashashwamedh because the road is closed.- From Mughal-Sarai: Rs 200 by tuk-tuk till Dashshwamedh and Rs 500 by Taxi. Depending on the time they will drop you at Girjagarh/Godowlia/Dashshwamedh. Tuk-Tuk cannot go till Dashashwamedh between 8am till 10pm.